If you’re going to take BMW maintenance and auto repairs into your own hands, make sure you use BMW approved parts that you can trust to last. To make it easy, Checkered Flag BMW, serving Newport News, Chesapeake and Norfolk, has a generous stock of all the manufacturer recommended parts you might need to maintain and repair your BMW. If for any reason we don’t currently in stock, we can get your part quickly. Looking for a specific BMW part near Newport News or Virginia Beach? Checkered Flag BMW makes it our goal to maintain a diverse and complete inventory of parts, meaning we are likely to have exactly what you are looking for. You can even order parts online using our convenient parts order form. 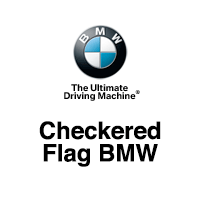 Remember, Checkered Flag BMW, located at 5225 Virginia Beach Blvd Virginia Beach, Virginia is committed to your satisfaction. Couple your mechanical and auto repair skills with our manufacturer-recommended parts from our Newport News area BMW dealership and you’re certain to keep your vehicle running at optimum performance.